Half Helmets - the dangerous but dashing outlaw of the helmet world - they look fantastic, especially with your naked/streetrider bike, but how do you make sure the least safe kind of helmet still protects your head? In the giant market of helmets, how do you know you’re buying the best half helmet? This 5 awesome half helmet reviews will make sure you spend your money wisely! **Below, you'll find my more detailed reviews about the motorcycle half helmet, but you can also click the links above to see current prices or read customer reviews on Amazon. Which Half Helmet Is Your Best Choice? Why You Should Choose Half Helmet? Essentially, this helmet is great for the price. In comparison with its rival there is a clear gulf in build quality and fittings, but this is when talking about helmets roughly twice the price of the Raider. We have found that the removable neck protector and detachable visor are extremely useful. 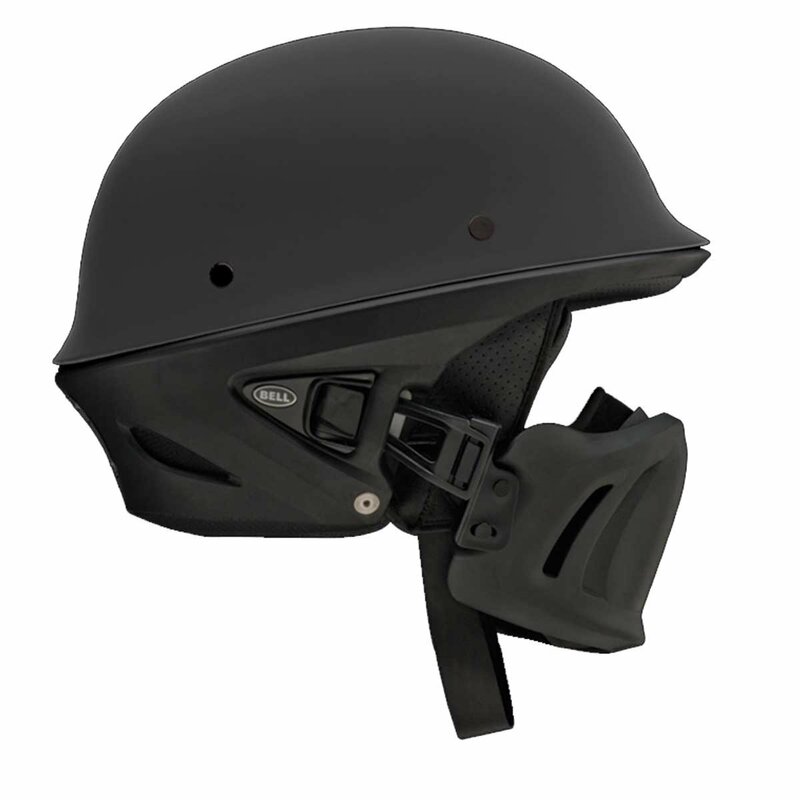 The helmet also has a well padded interior and is as comfortable as more expensive designs. 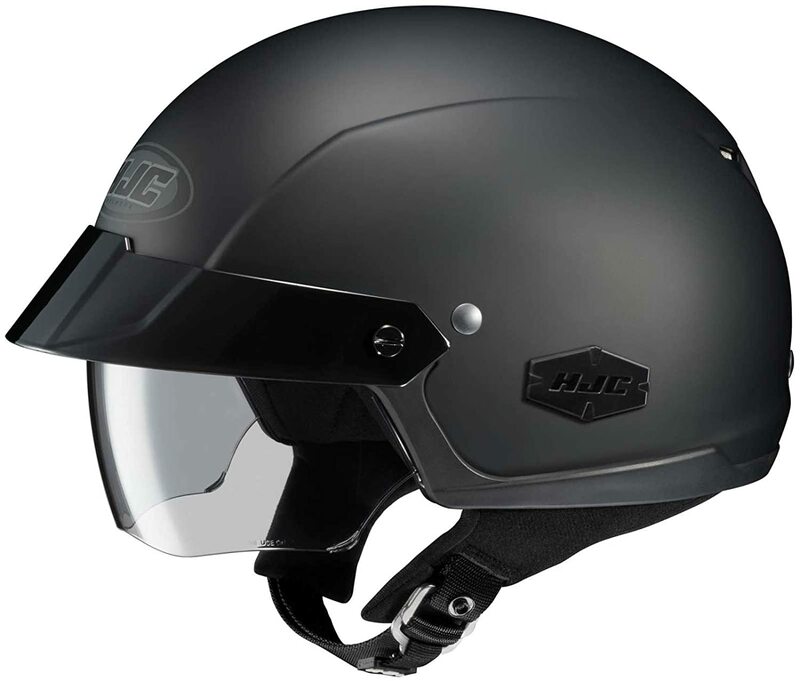 HJC helmets are a well known name in the helmet world. They have been doing their thing making great helmets for 45 years now and seem to be going strong. This half helmet is another fine example. 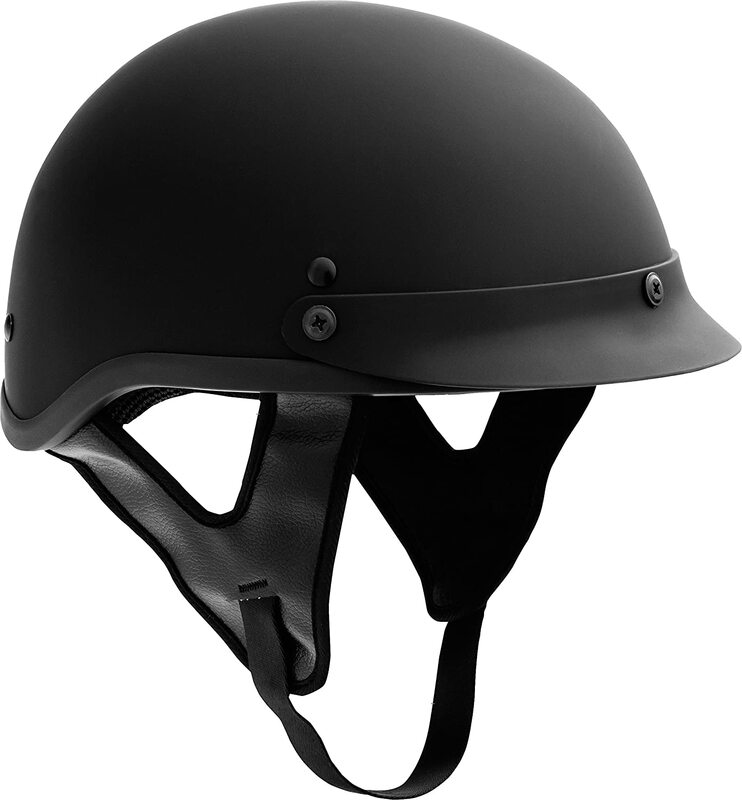 It fits the needs and capabilities of most half helmets, and even offers some added bonuses. The removable linings are great and easy to use, these do become sweaty and saturated as you use the helmet - so it’s great to easily clean them! Also the sun shield being integrated within the helmet head looks good - and is easy to use while riding. We think the biggest problem with the HJC is the Bell equivalent, which can be found at a similar price now. Is it better than the Bell equivalent? 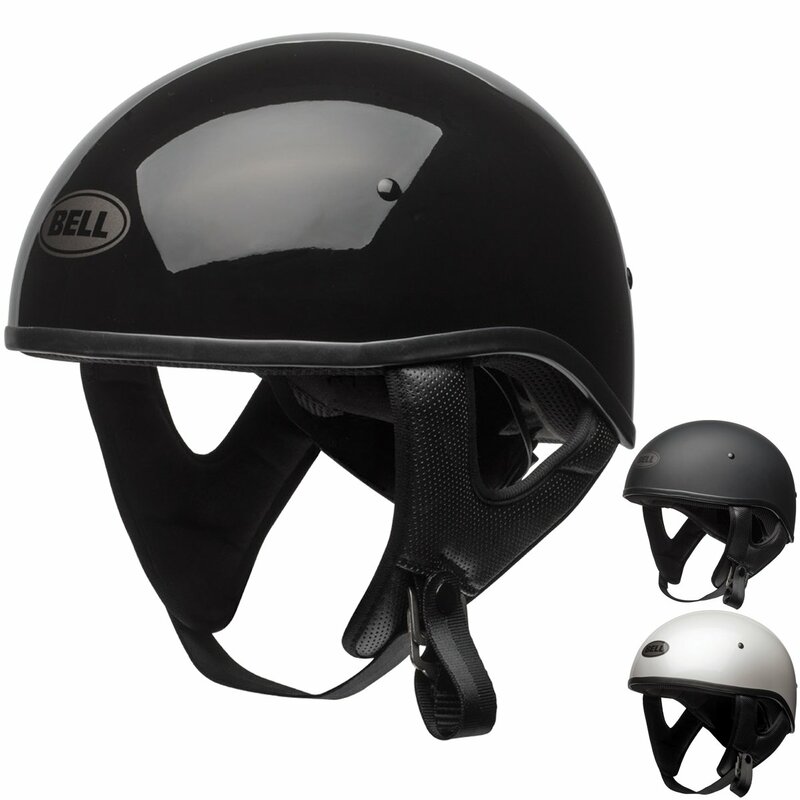 Bell are still the typical name and design you find at the front of most bikers mind with this type of helmet. With the price you can have this Pit Bull for now, we think it’s a steal. This helmet was pretty much as everything you could want from a half helmet. You know you’re getting real quality and durability - along with a timeless look! We love the fit of this helmet and the snug interior mould, as well as the space for speakers inside and the excellent speed-dial adjustment system (simple and seen elsewhere but really effective). It’s little touches like this which keep Bell at the top of their game. The Rogue from Bell is like something straight out of a marvel movie. Evoking images of wartime battles and hard powerful armour, this helmet really stands out from the crowd. If you can get your head around spending high price on a helmet which isn’t all that different from its smaller sibling above, that’s great, we think it may be cool enough to spend the money on. But if you don’t like the look, it’s probably not as practical as it looks (it is heavier than some full face helmets!) and other half helmets with bandanas do a similar job! Does a facemask/bandana do the same job? Did we mention it’s cheap!? Fuel themselves claim that this helmet is designed to be one of the most comfortable on the market. What they are comparing it to I’m not sure, maybe they place it in it’s own market due to the price! But to be fair, this is to an extent true. You will struggle to find anything that comes close for the price, and if it suits your needs and fits correctly, then you could have an absolute bargain here. 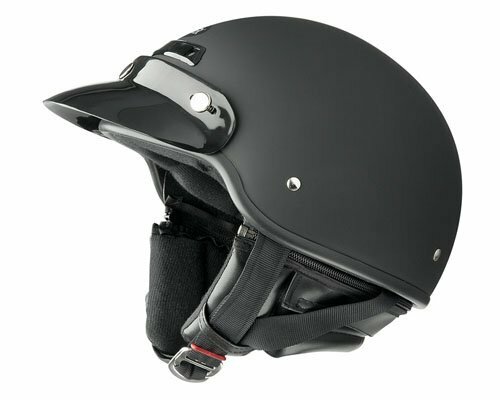 If you don’t use highways too much you’ll find a helmet with a slim profile and great style. Do you know the one thing that everyone needs to ride a motorbike? You guessed it… a brain! And every rider that uses this brain thing probably has a good reason to protect it. How? By wearing a helmet, of course. Helmets are without doubt the most important part of your motorcycle gear, they can provide critical protection at all times and often are the difference between life and death on the road. But the market is big and the balance between getting something that looks good and also provides value for money is a fine one. Is it suited you what and how you ride? We like full face helmets, the sturdy old friend, this provides full facial protection, including the chin - and employs a built in visor to shelter your eyes. Most riders will have owned one or used one at some point, generally built with comfort and usability in mind. They aren’t the most practical ( you have to take it off to eat that pitt stop candy bar) but will have good noise reduction and can often come with all sorts of gizmos like built-in bluetooth and MP3 capability. An open face helmet gives you all the same protection structurally as a full face helmet, obviously without the chin. This is useful practically with the ability to easily wear your sunglasses, eat a snack, or talk to someone! But a large percentage of damage to the facial area occurs to the chin, so you do sacrifice some protection. Half helmets are the subject of this article and are the main weapon of choice for streetfighter or naked style bikes. They give you that classic look to complement your Harley and let you rock your Ray Bans with style. A half helmet is the least amount of protection you can get, but it is extremely light and practical. Many riders will choose against a half helmet due to the clear safety advantages of a full face helmet, however, all half helmets recommended here are D.O.T safety approved. This is important as the D.O.T (Department of Transport USA) conducts extensive tests to make sure that the bits of you covered by the helmet are well protected. We think that the half helmet can be perfect for easy-riding cruisers, as well as the minimalist needs of a scooter or other low-power bike. You’re unlikely to need the added coverage of another helmet type and you’ll look great. For a bit more depth in the helmet universe, look here! Picking a half-helmet is guided by the same measures as any other helmet type. You need to balance your budget against a style you like, a safe helmet and something you find comfortable. It’s just one of those unfortunate things in motorcycling - we all have different shaped heads! We think (aside from making sure your helmet is D.O.T approved and safe) that the most important factor of buying a helmet is the way it feels on your head. You need to buy a helmet and try it on, get a feel for it and know that it is going to be less comfortable the further you go so make sure it feels great to start with! Quality is also important, so make sure you are happy with the build quality (we think our examples are all good at their respective prices). Lastly consider how easy the helmet will be to clean/maintain, lots of potentially unpleasant things can and will leak from your face when riding! You’re going to want to wash the inner padding quite regularly - how easily does this lining come out? Can you wear headphones inside or fit speakers? These are important things to consider. For different reasons we like all these helmets, Bell and HJC are brands with undisputed quality and delivery. Whereas Raider is a great middle ground and the Fuel helmet is an excellent bargain basement choice. In truth the most impressive helmet for us remains the Bell Pitt Boss. We were and are very tempted by the Rogue, it just looks so damn cool. But the Pitt Boss - at the price you can currently buy it - does mostly the same job. It’s great value, and will definitely give you that stylish edge all riders love in a helmet. We think it’s really important to try your helmet on and really play around in it before you buy. Everyone’s face is very different, and your nose or ears may fit particularly well in a helmet we found less comfortable. Different riders prioritize different things and we think especially with helmets it’s important to make sure it’s super comfortable to start with - and keep looking if you have doubts. The last thing you want is to end up on a long ride with a painful helmet! Let us know what you think about our half helmets reviews in the comments below!